As the demand for Asian flavours boom over the last 5 years, Japanese cuisine became more than just a familiar flavour. 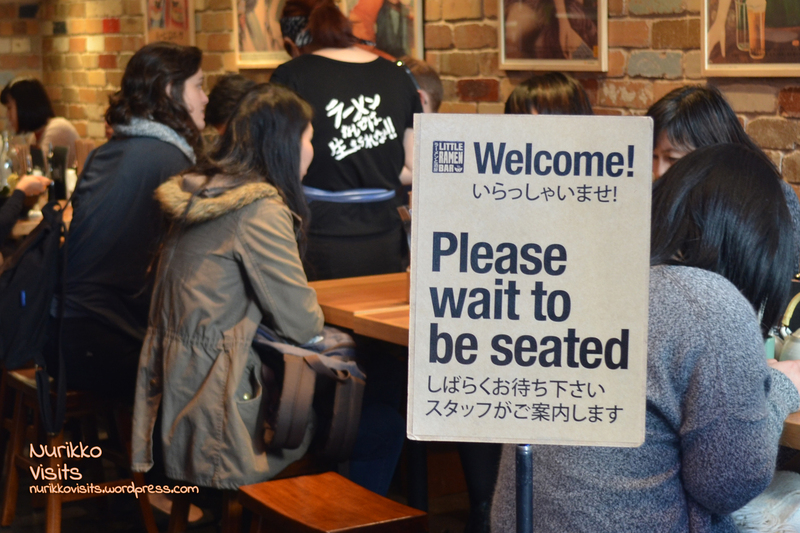 The Little Ramen Bar is two doors away from the popular Shanghai Street Dumpling house on Little Bourke Street, it is yet another small culture restaurant who took its stance in the Melbourne CBD. 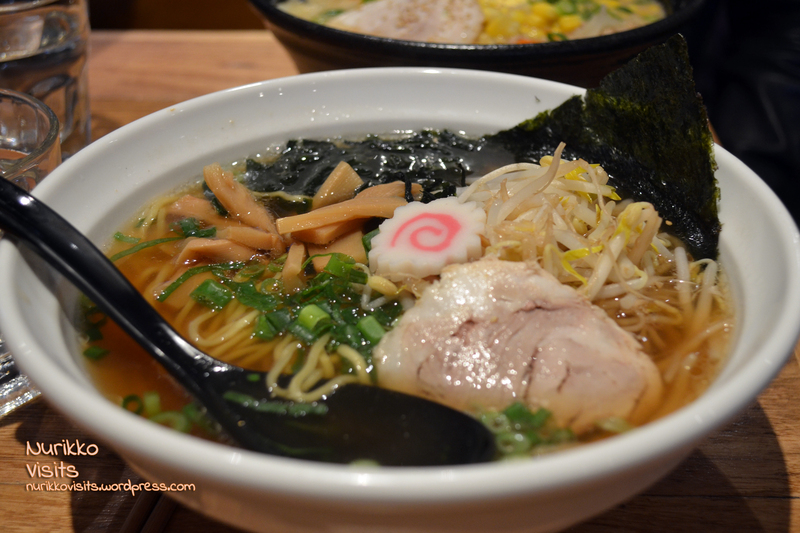 Ramen or Japanese soup noodle – originated from a country well known for its food culture and lots of other unique industries (*wink*), it is best enjoyed with hot broth and can be served in a variety of flavours – hence, it is not surprising for a restaurant to specialise in only ramen. Almost every locality in Japan has its own variation of ramen as they were able to source local and unique raw ingredients. 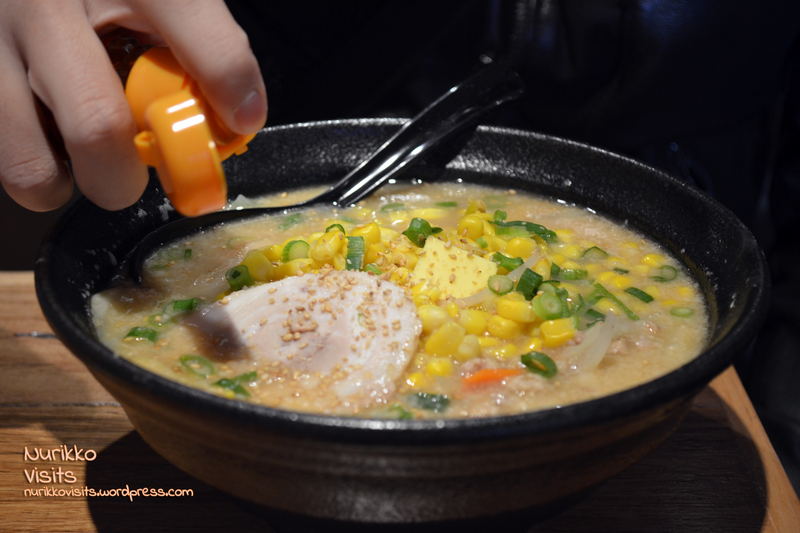 There are about 16 Victorian restaurants registered on Urbanspoon who specialise in ramen, with Ajisen Ramen dominating the ramen franchise. I guess we have the pleasure to enjoy unique Melbourne ramen flavours. The restaurant is petite. It is suitable for small dining groups. Be aware that Miso soup base can be very salty, so if it is not your piece of cake, perhaps let their staff know to reduce the miso paste they add. Clear chicken broth made the whole dish so flavoursome! The bamboo shoots tasted a bit funny, I didn’t like it, I suspect that they used canned products. Fresh bamboo shoots would be much better but you won’t find them in Melbourne markets. On the other hand, the soaked seaweed made the soup taste really good. Other than the bamboo shoots, I liked the dish. 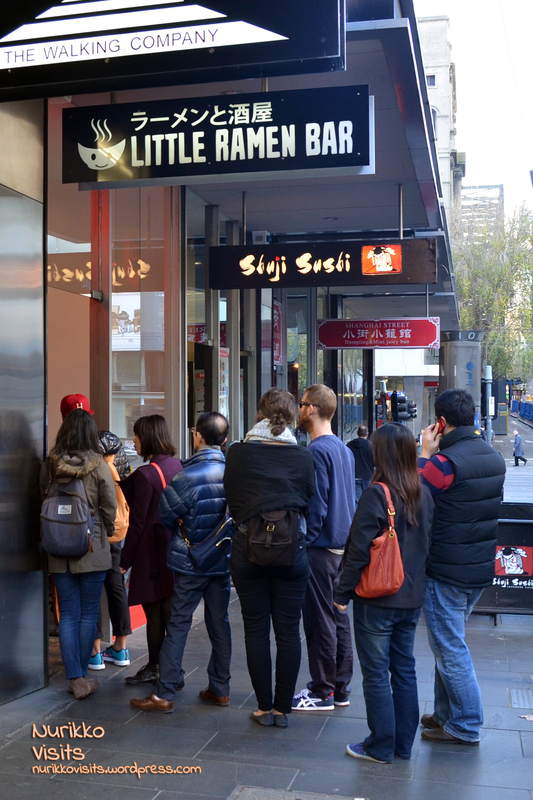 Overall I rate the Little Ramen Bar with 4/6 Stars, if you are around the area and can spare some time to wait in line – you might as well. 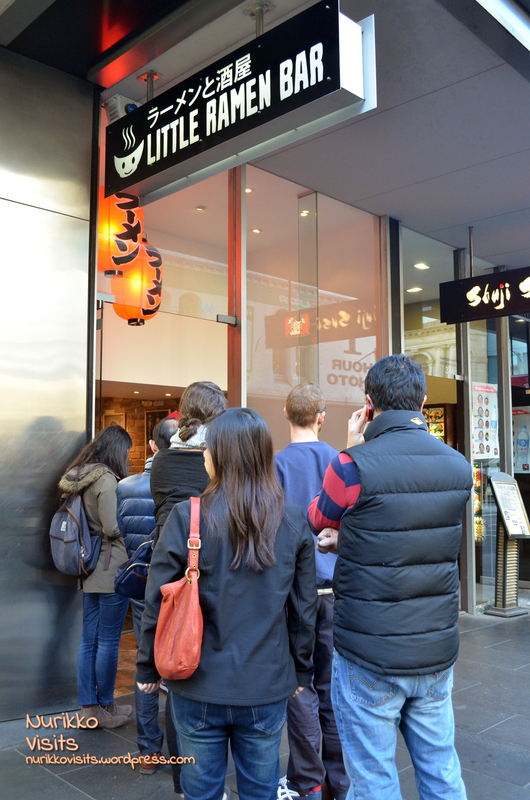 Categories: $ Cheap eats (below 15), Asian, City of Melbourne, Japanese, Melbourne CBD, Ramen / Noodles, Recommended, Traditional / Authentic, Vegan Friendly, Vegetarian | Permalink.